The number of cats affected by sporotrichosis rose 400 percent in Rio de Janeiro in 2016, according to the Sanitary Surveillance. In all, the city had 13,536 cases reported in cats and 580 in humans only last year, according to a Estado de São Paulo report (computer translated). Sporothrix brasiliensis, a subcutaneous mycosis in Brazil, is a disease that strikes cats and can be transmitted to humans has been spreading throughout the country. It causes serious and life-threatening injuries when not treated in a timely manner. Most of the cases are concentrated in suburban neighborhoods and poor communities. Rarely serious in humans, sporotrichosis can lead to severe lesions in cats, especially the head, progressively attacking the skin, muscles, bones and even internal organs of the animal, resulting in death. 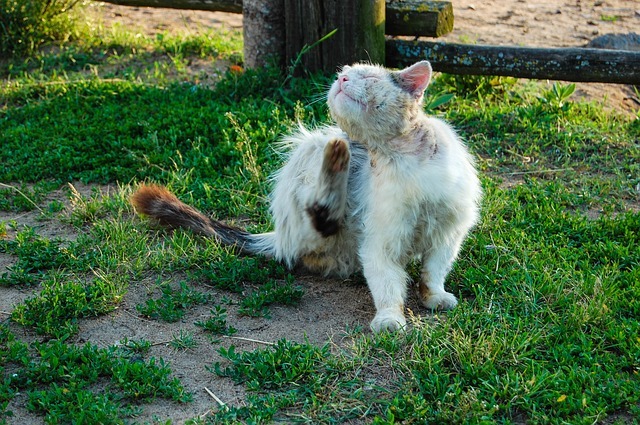 The disease is caused by a fungus that lives naturally in the soil, Sporothrix and is transmitted to other cats, dogs and owners by means of scratches. It is not known why cats are so susceptible to the fungus nor why the disease is so severe in them. A cat with lesions may have fungus in its claws. When fighting with another cat, a dog or chasing a mouse, it passes the fungus through the nails.